Click the button below to select the type of media you need transferred, the quantity, and the end product you’d like. Then, checkout online, and we’ll process your order and send you a receipt. 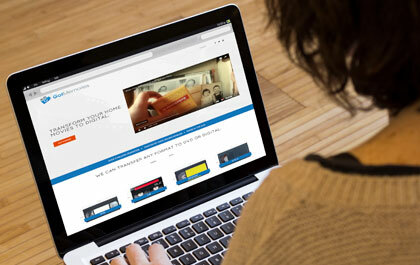 Follow our easy step-by-step instructions for packing and shipping your video media to us. Include the shipping information we’ll send to you. If you’re in the Phoenix area, we also accept drop-offs at our office. Our transfer specialists will carefully transfer your old media into the format requested: DVD, digital files on a thumb drive, or both. We’ll then ship it back to you, so that you can enjoy your family memories. Nothing lasts forever. Every month or year that you wait to transfer old media to digital, you’re increasing the risk that tapes and slides get lost, deteriorate, or are destroyed. Plus, the devices needed to play old media are rapidly disappearing. When it comes to something as irreplaceable and precious as your family memories, play it safe and trust Got Memories to transfer them to secure digital files.